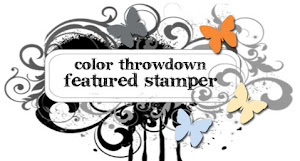 Your Next Stamp - New Release Preview Day! Hi all! I'm so EXCITED to be guest designing for Your Next Stamp this month! 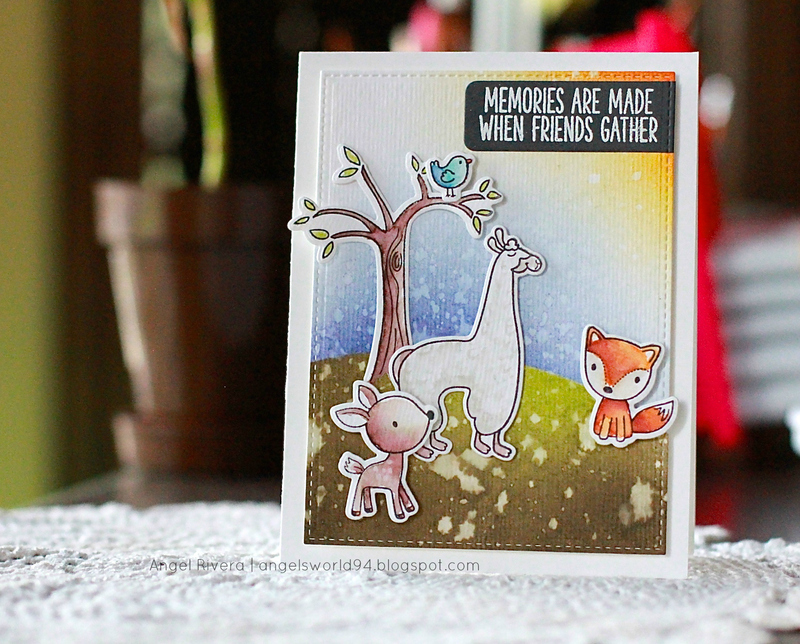 It's like stamping with an old friend ;-) Today is our New Release Preview Day! I have this sweet Cup of Happiness stamp set that also has matching dies! 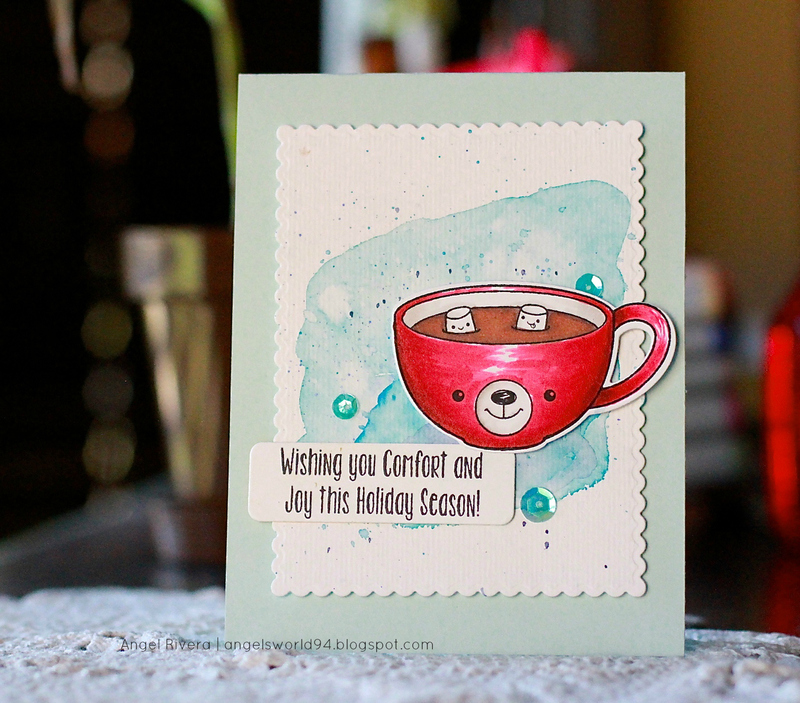 I colored the cup with Copics, then layered it over a watercolored background and added a sentiment from the set. Super cute, right?!?? Wait until you see the rest of the release!!! EEEK! And Karen also has a great sale going on! 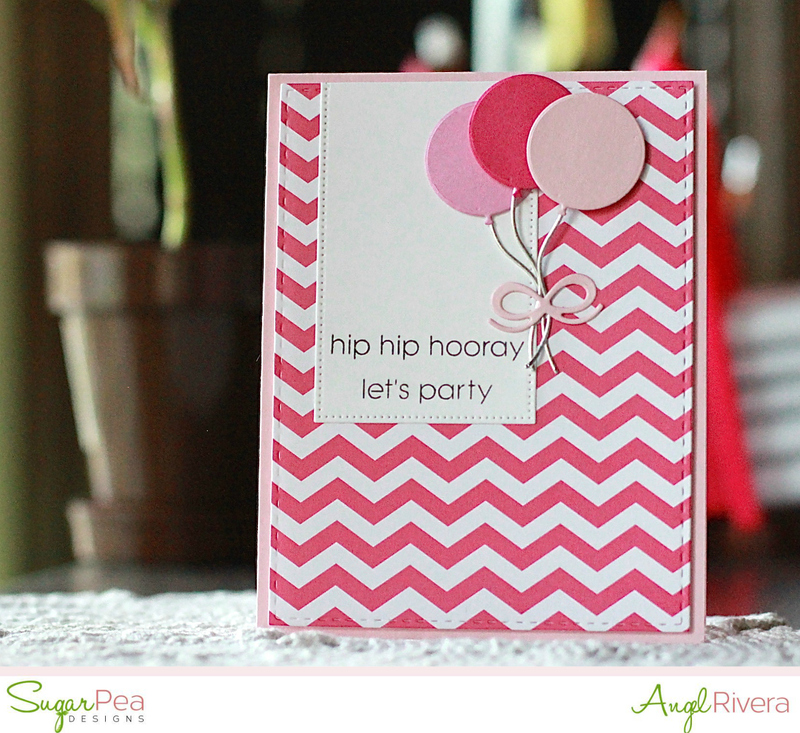 SugarPea Designs Mix It Up Challenge time! Hi all! 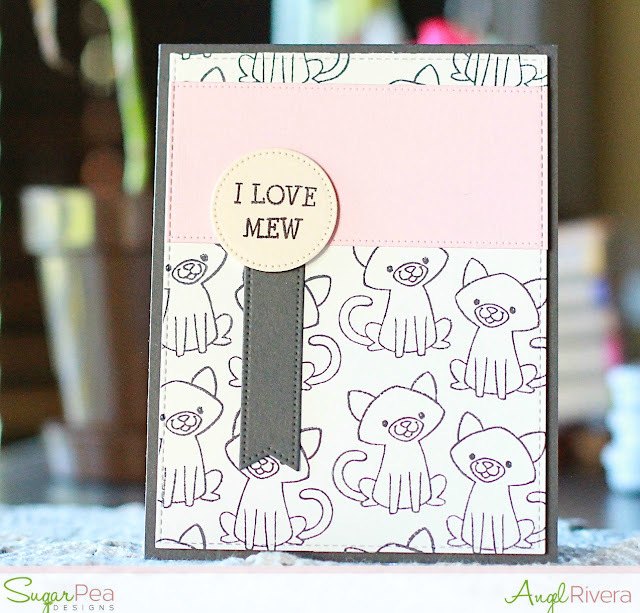 It's Wednesday, which it's time for another SugarPea Designs Mix It Up Challenge! 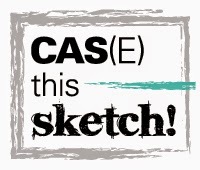 :) I used the sketch and the inspiration picture (again) to create this Clean And Simple (CAS) card. 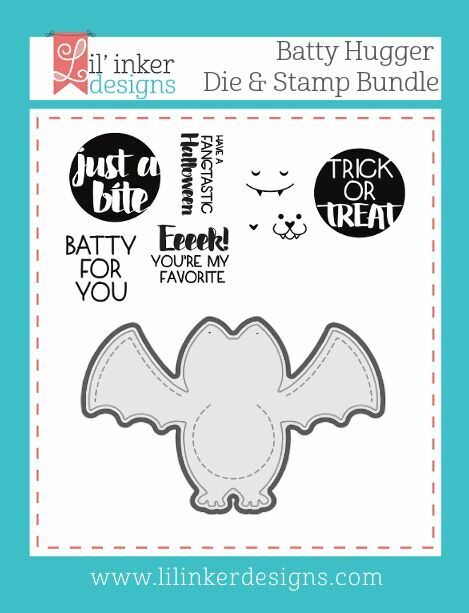 I used the Smitten Kitten set because, duh, it was perfect for the inspiration pic ;-) Who says you have to always color lined images?? 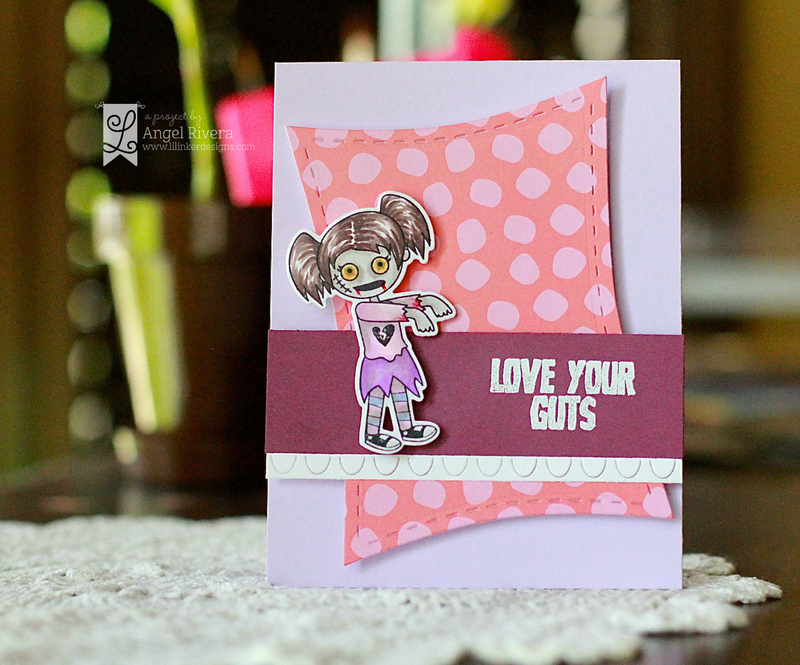 I used these cuties to create a background, then broke it up with a die cut piece of pink lemonade card stock. And I couldn't resist that sweet sentiment! Thanks so much for stopping by! 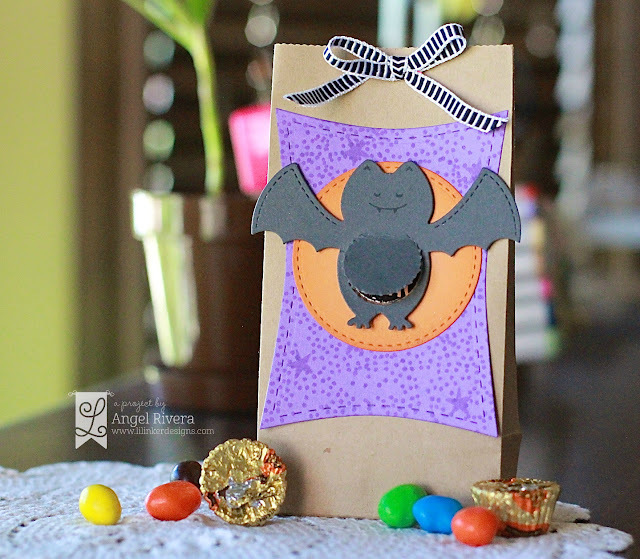 Head over to the SPD Blog to see what the rest of the DT created for this challenge! Hi all! Happy Wednesday! We have a new Mix It Up Challenge for you over on the SPD Blog! I actually used the sketch AND the picture this time ;-) The designer paper is from the It's A Celebration paper pad and the sentiment is from the Celebrate All The Things stamp set. And of course, the balloon dies are from the awesome Birthday Journal Card SugarCuts. Easy peasy birthday card! Hi all! 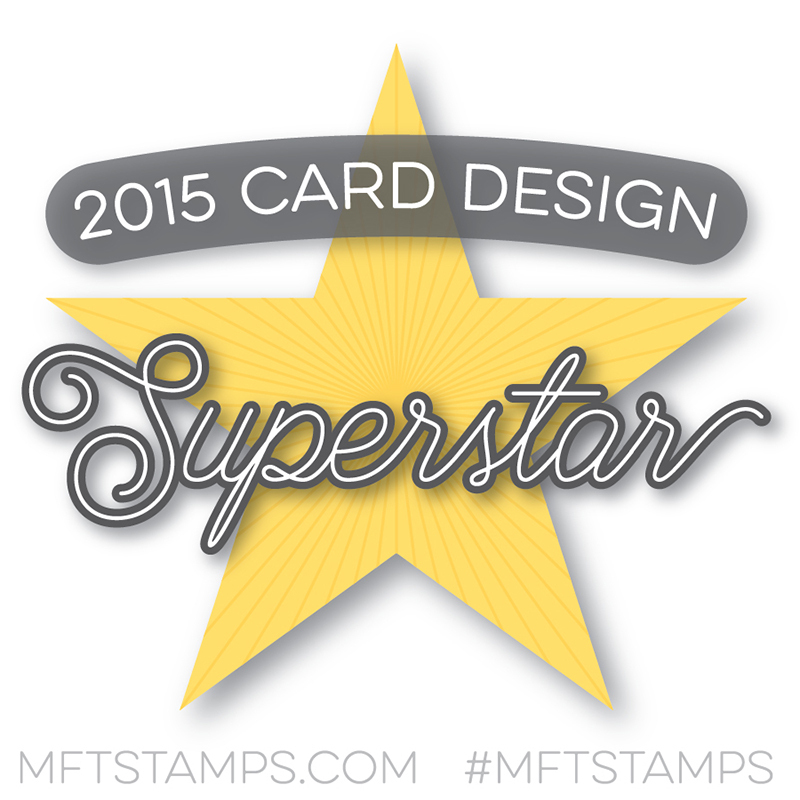 Here's another fun card I made for the MFT Card Design Superstar Contest! EEKKKKKK - my nervesssss!!!! Ha! Anyway, I really am thrilled with how this card turned out. 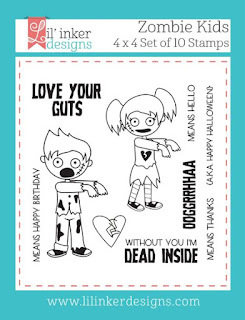 :) I used these MFT goodies: Llama Love stamp set (and matching die-namics), Sweet Forest Friends stamp set (and matching die-namics), stitched speech bubble edges die-namics (used to cut out the mask for the hill and sky), an element from Blueprints 13 and Blueprints 29, plus several inks to color the critters and do the sponging. The card base is smooth white card stock. Thanks so much for stopping by! And again, lots of luck to everyone that has entered! I would not want to be a judge!!! Thanks so much for stopping by! 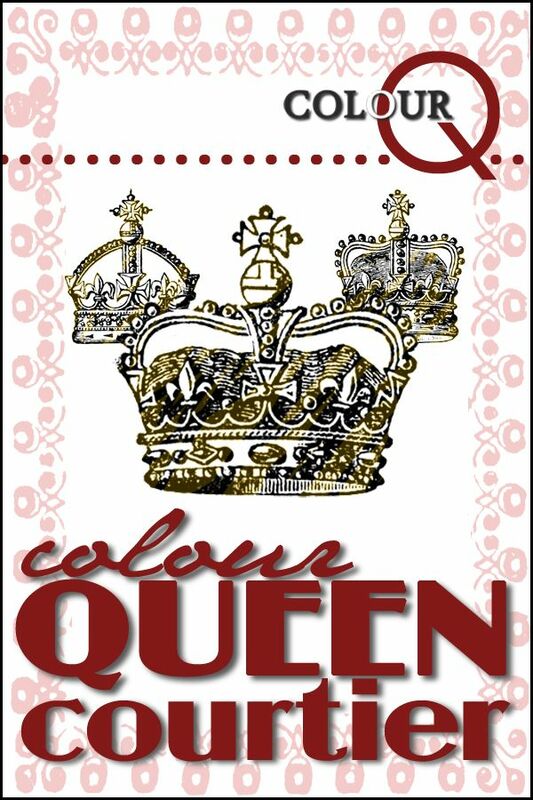 Lots of luck to all of the contestants!!! Hi all! 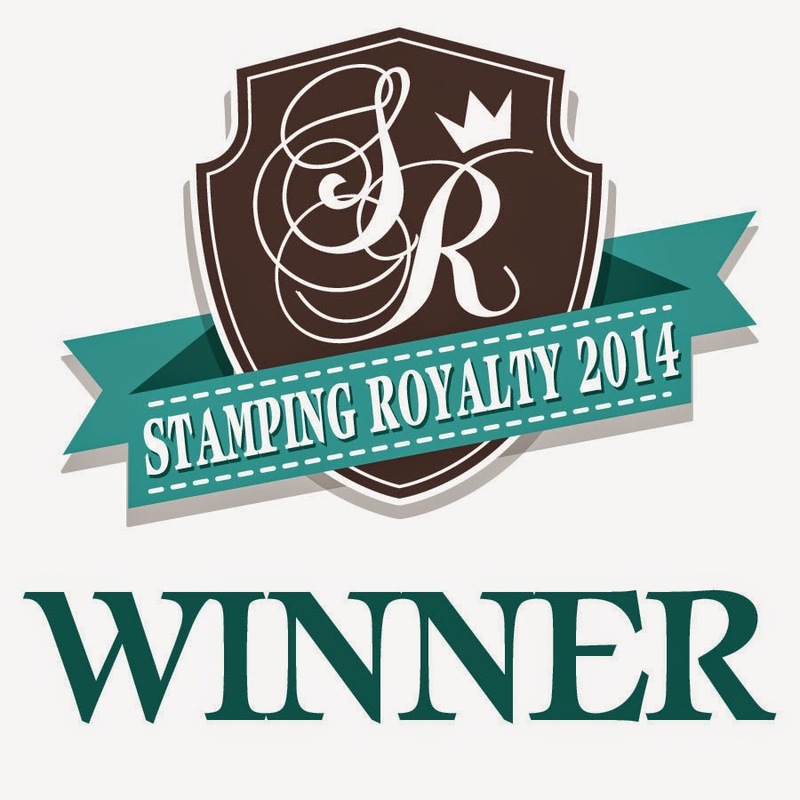 I'm so excited to be able to participate with Simon Says Stamps and their STAMPtember celebration! 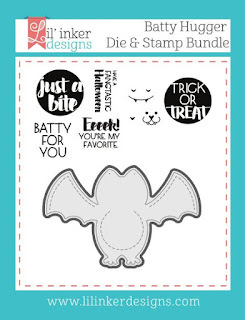 Today, they are featuring the exclusive Memory Box stamp set called Love and Laughter and oh my, it is such an adorable set!!! 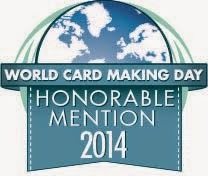 Here is my card using quite a few of the images and sentiments from the set. Everything was colored with my Zig clean color real brush pens. I embossed 'joy' with liquid platinum embossing powder. The wreath and bunnies were fussy cut and adhered with foam adhesive. 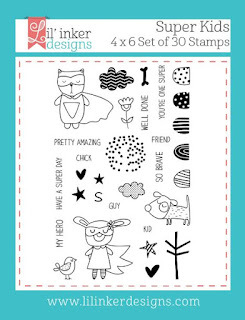 Hop on over to the Simon Says Stamp Blog to see this sweet set! Hi all! 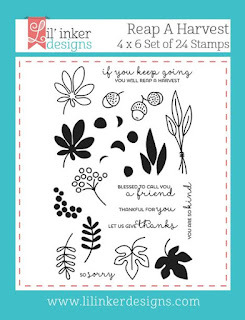 It's time for a new SugarPea Designs Mix It Up Challenge! Check out this week's challenge HERE. I went with the sketch challenge (no surprise there - I looove sketches!) 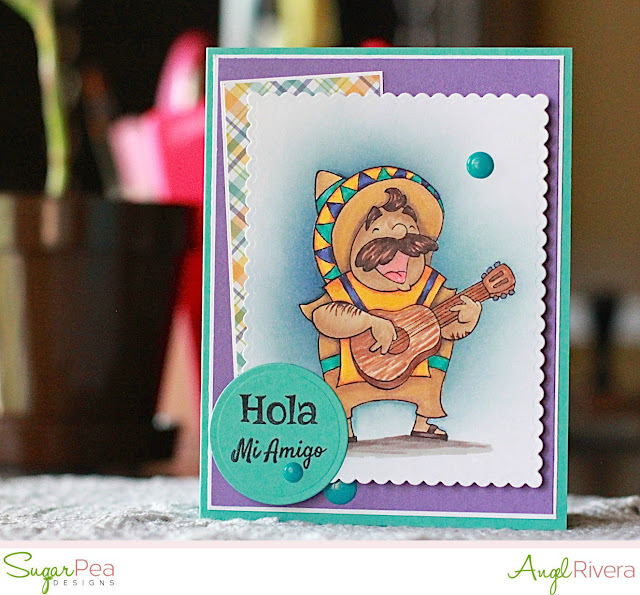 This guy from the Let's Fiesta set is a favorite of mine! He's so fun to color! I cut him out with one of the elements from the Birthday Journal Card SugarCuts. 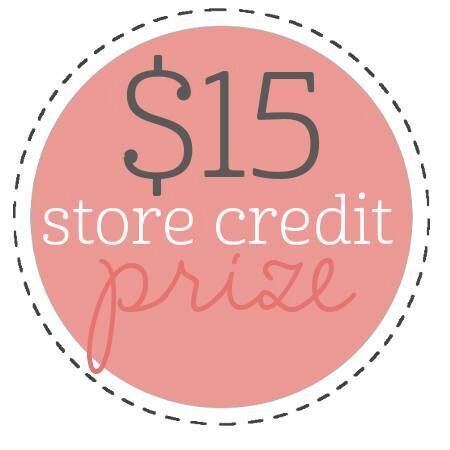 Be sure to play along with us for your chance to WIN a SugarPea Designs Gift Certificate! Wahoo!!! Lil Inker Designs New Release Blog Hop - Day 3!!! Hi all! 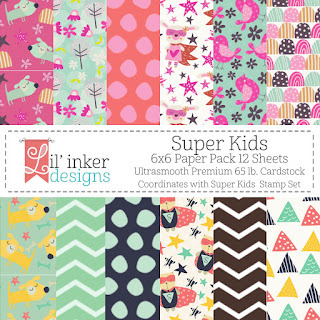 Welcome to Day 3 of the Lil Inker Designs New Release Blog Hop! I hope you've enjoyed all of the new goodies we've been featuring! They're available now HERE!!! Next up on the hop is the uber-crafty Chrissy! 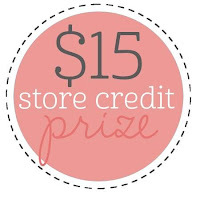 Be sure to comment along the way for your chance to WIN! Lil Inker Designs New Release Blog Hop - Day 2!!! You should have arrived from the fabulous Amy's Blog. The new goodies are available NOW and you can get them HERE. 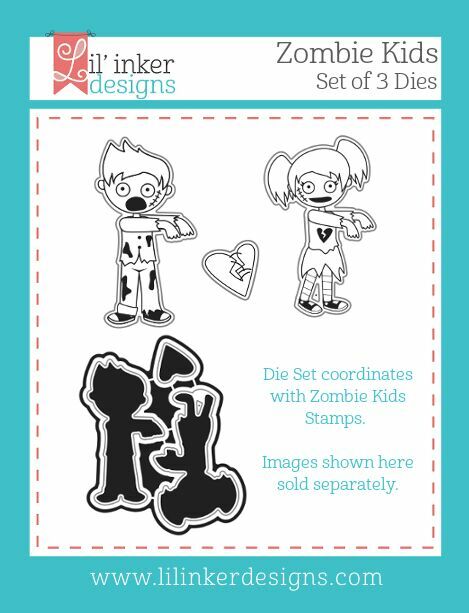 I have this fun card for you today featuring the Zombie Kids stamp set and dies. I'm a BIG fan of The Walking Dead, so of course my zombie girl had to have a little 'blood' on her face and sleeves ;-) That patterned paper that was cut out with the Wonky Rectangles die (looove these!) 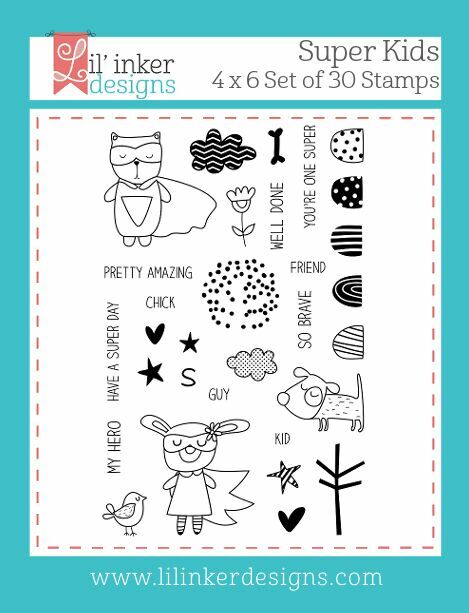 is from the new Super Kids paper pack. 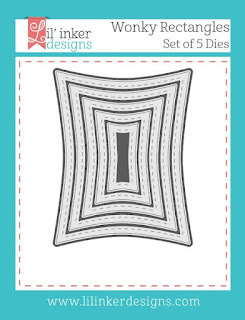 The sentiment is embossed, then I added extra detail with a row of the Fringe Scalloped Rectangle dies (previously released). Next up on the hope is the crafty queen, Sarah Jay! Be sure to comment along the way for your chance to WIN! The release is available now and you can get it HERE. You should have arrived from the super talented Lisa's Blog. 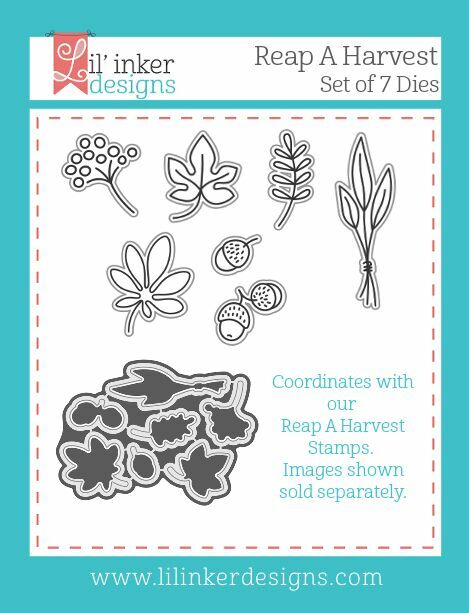 My card today features the Reap A Harvest stamp set and dies. I embossed the outlined leaves with white embossing powder then used a few Ranger Distress Inks to sponge and make them POP! The middle layer was cut out using the new Wonky Rectangle dies. Love those fun dies! 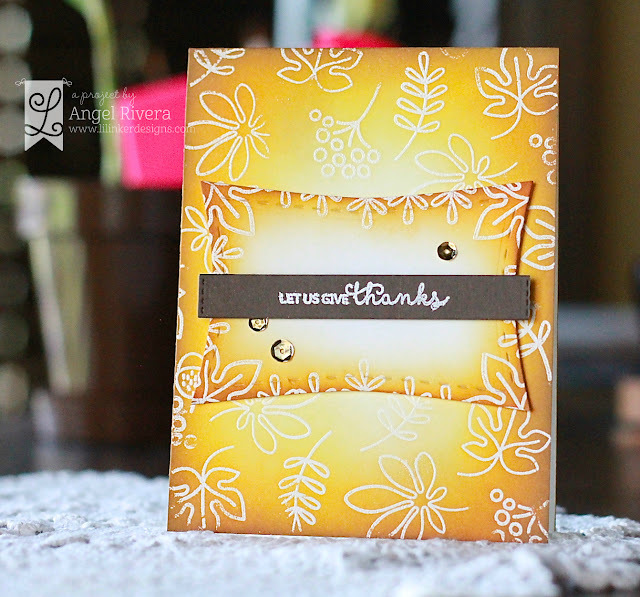 I also embossed one of the sweet sentiments from the set, then added a few gold sequins. 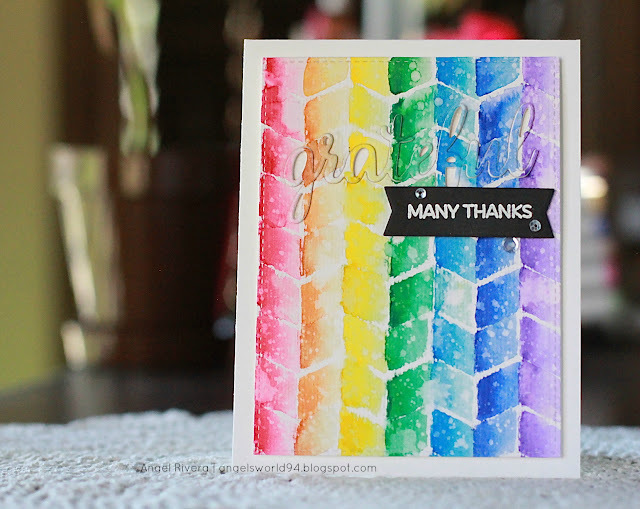 As always, we have LOTS of inspiration for you using the NEW goodies, so now it's time to hop over to the fabulous Amy's Blog! Be sure to comment along the way for your chance to WIN! Thanks so much for stopping by! 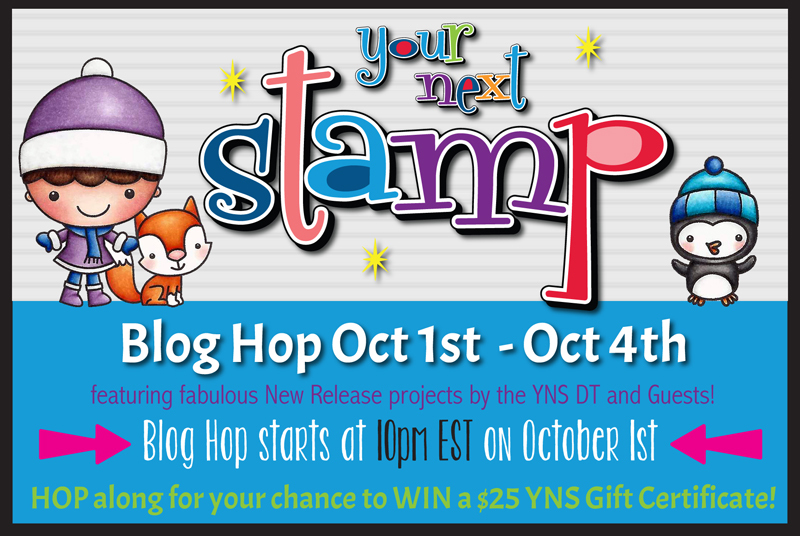 See you tomorrow for Day 2 of the Blog Hop! Hi all! 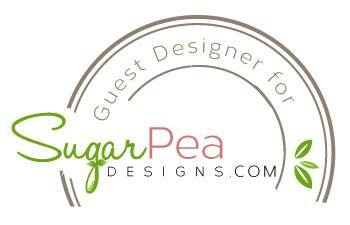 I'm SO excited to be sharing my FIRST SugarPea Designs Challenge card as a part of the new design team! EEK!!! 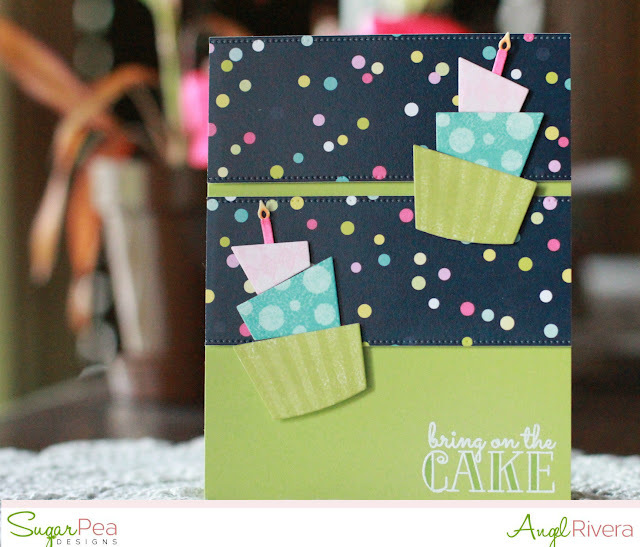 I made this fun card based on the sketch using the Bring On the Cake stamp set and the Birthday Journal Card SugarCut. I went pretty Clean And Simple to keep the focus on the cake embellishments and the embossed sentiment. I love the fun patterned paper from the It's a Celebration paper pack. 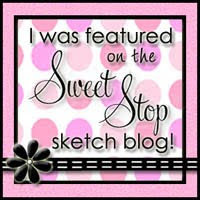 Be sure to check out the challenge over on the SPD Blog!